Can another person truly appreciate the collections of another? I’ve been contemplating the answer to this question. Each time I climb the stairs to my attic, I transcend the reality of down below. Surrounded by bins full of color, texture, and print transports me to a reality all my own. Will someone else be able to share my reality or create their own? I own three Singer sewing machines, two Bernina sewing machines and one Bernina Funlock machine. My first Singer was given to me by my parents as a Christmas gift, the second was given to me by my husband when I was expecting our daughter, and the third I bought from a co-worker who needed the money. The Bernina I purchased for myself and the second Bernina was given to me after my mother-in-law passed away. Each machine, as silly as it sounds, represents a stage in my life. They are a part of my history. Which brings me to the reason for this post…I didn’t think I had much in common with Betty, except for her son and granddaughter, my husband and daughter. Well, that was until I inherited her sewing machine, fabric and notions. 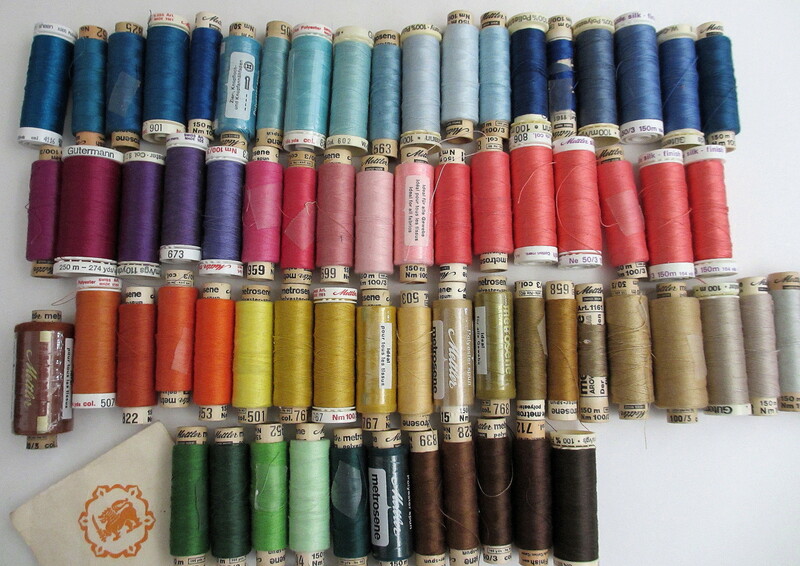 Rarely, did I see Betty wear color, but her thread collection reflects a different story. 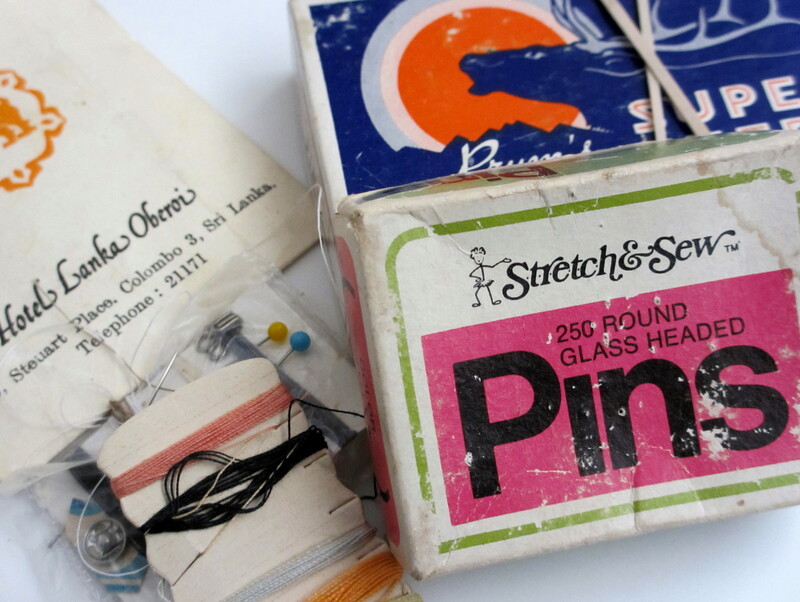 The Stretch and Sew pins bring back memories of the Stretch and Sew knits http://www.asg.org/files/hall/2004_Person.pdf. I can’t part with her collection of hotel sewing kits, especially the one from a hotel in Sri Lanka. Betty was a world traveler reflected by the stamps in her passports (which I’ve got for safe keeping). Her collection of silk from Thailand and India, and batiks from Bali. I appreciate Betty’s love of travel and culture, narrated by her gifts to me.